Security forces neutralized two terrorists of proscribed terror organization Jaish-e-Mohammad in a nocturnal gunfight in Chattergam area of Nowgam on the outskirts of Srinagar on Friday. Four Army soldiers were also injured in this operation. The eliminated terrorists were Pakistani nationals. 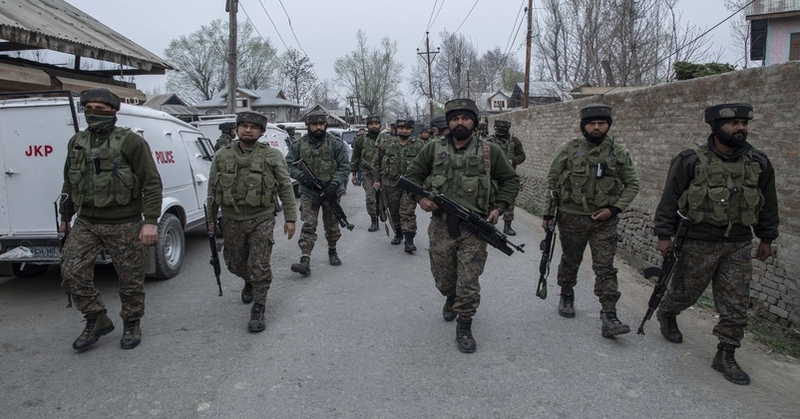 On the specific tip-off about the presence of the terrorists, the police and other forces laid a siege around a residential house in Sutsoo-Kalan area of Chattergam during the night. The terrorists opened fire on security forces after the security forces fired some warning shots and the encounter started between security forces around 3 a.m.
A senior police officer revealed that the slain terrorists were part of Jaish’s “sniping attack squad” and they possessed a US-made M4-carbine with a night-vision device fitted atop that was recovered from the spot.